Arctic Holiday provides guides and unique skiing opportunities in and around Tromsø and Lyngen. Whether you want to jump on board the famous Vulkana Spa boat for a few days of ski touring mixed with hot tubs, hammam sauna and amazing meals cooked by the on-board chef, or you want a day trip or base yourself in Tromsø, we are here to make those dreams of unspoilt powder and spectacular views come true! 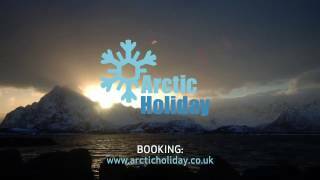 Arctic Holiday always use approved local guides who know the snow conditions and mountains extremely well. Please contact us for more information and bookings – just click on the TOUR ENQUIRY button below.